There is media campaign going on for this not very well known vegetable. They have always intrigued me a bit. I didn’t like them as a kid, but as I grow older I find myself liking a lot of the veggies I didn’t like back then. So, anyways, I looked them up. This is what I found out about this cute little red member of the cruciferous vegetable family. They naturally cool your body and are very highly regarded in Eastern medicine for that same thing to help keep your body cool in the summer months. With their pungent flavor, radishes are good for clearing the sinuses and soothing sore throats, which means they are good for fighting colds. 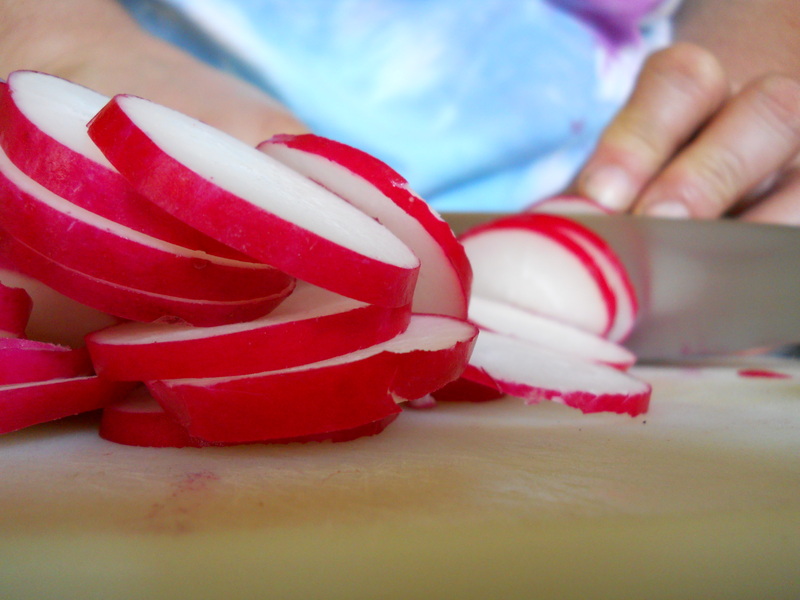 Radishes are great at cleansing the digestive system naturally as they help break down old food in your body. Radishes are very high in vitamin C and along with their natural cleansing effects make them excellent at warding away viral infections. This little red veggie is said to have awesome toxin purging effects to help break down toxins and free radicals that you don’t want in your body. They contain phytonutrients, fiber, vitamins and minerals that are cancer protecting. They can help bloating and indigestion with their calming system on the digestive system. They are very low in calories so they are a great way to add nutrients with a lot of other junk. They are also full of water and phosphorus and zinc along with the vitamin C to make them very nourishing for your body. So all in all I would say you should get some radishes and eat them without hesitation. I am. I got the info from this page here.